“Cavolo!……..cavolo? !” could roughly be translated as “crikey!..…..cabbage?? !” Cavolo being not only Italian for cabbage – but also a ‘cripes’, ‘good grief’, ‘holy cow’ type of expression! 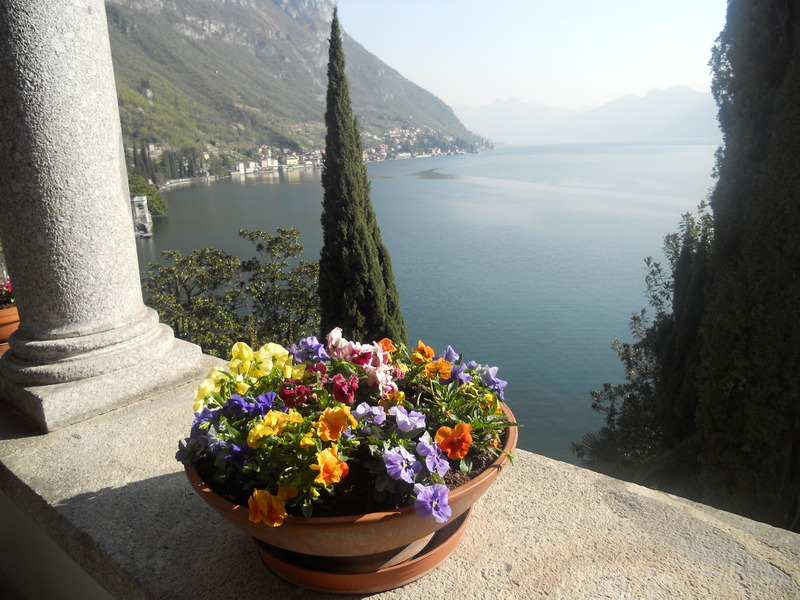 And indeed “crikey” what could possibly make cabbage a choice dish for a St Valentine’s Day intimate supper – even with this view of Lake Como. 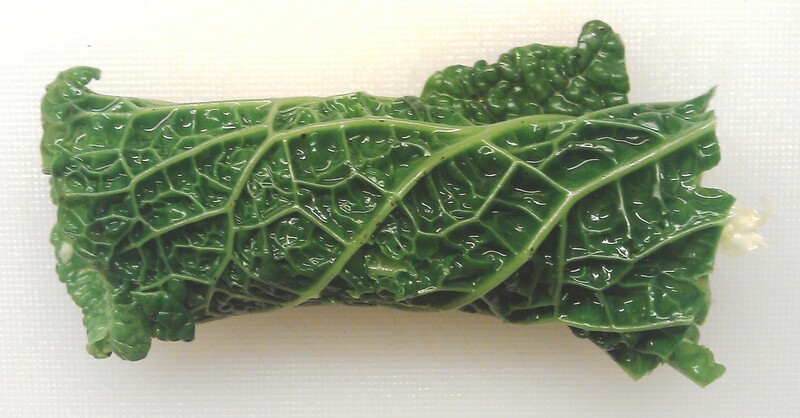 As far as I know there’s nothing remotely romantic about the prosaic cabbage but…..here’s the thing…. cabbage apparently helps trigger our ‘happy hormone’. So…I thought….why not do a light, ‘happy’ amuse-bouche (a chef’s gift “to amuse the mouth”) with a drink before dinner to help that romantic mood. 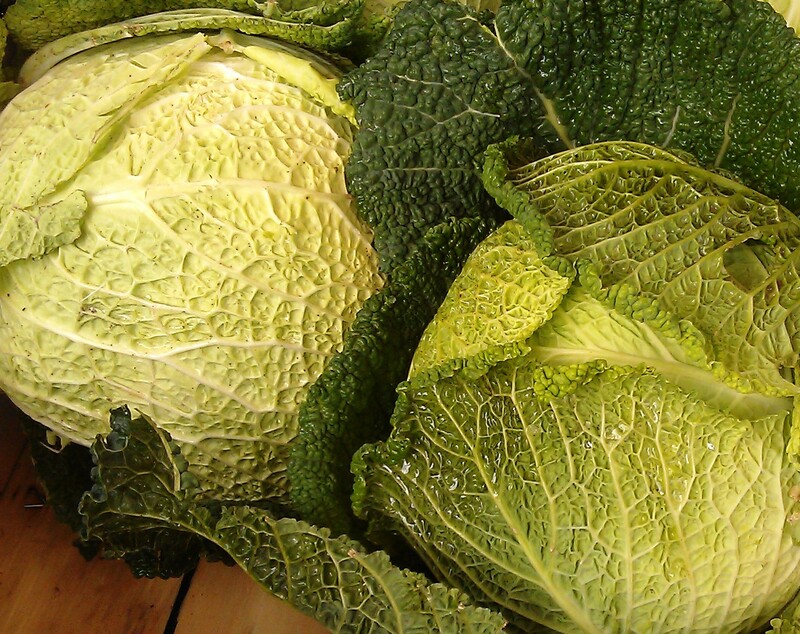 I’ve used Cavolo Verza or Savoy Cabbage, the more flamboyant of the brassica family because not only is it Italian, but I find it sweeter and lighter than the other varieties and easier on the digestion………another plus for that St. Valentine’s dinner. No bloating! 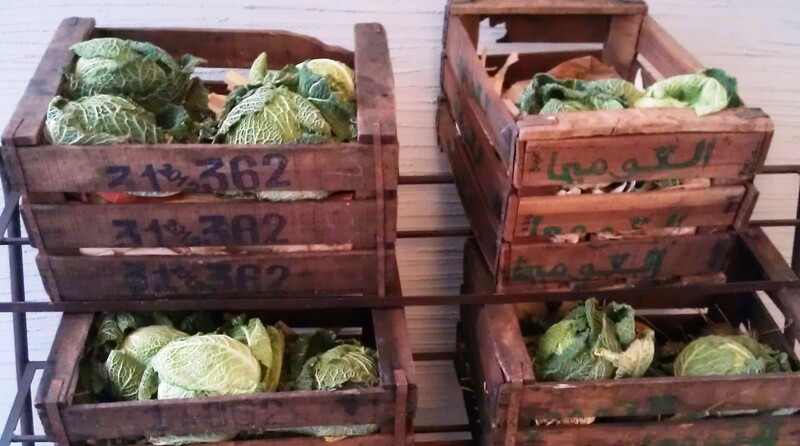 We’ve been eating a lot of cabbage lately – it’s one of the main staple winter foods here in Northern Italy and has been for centuries even perhaps millenniums – nearly every ‘orto’ or vegetable garden had, and has, a cabbage patch. 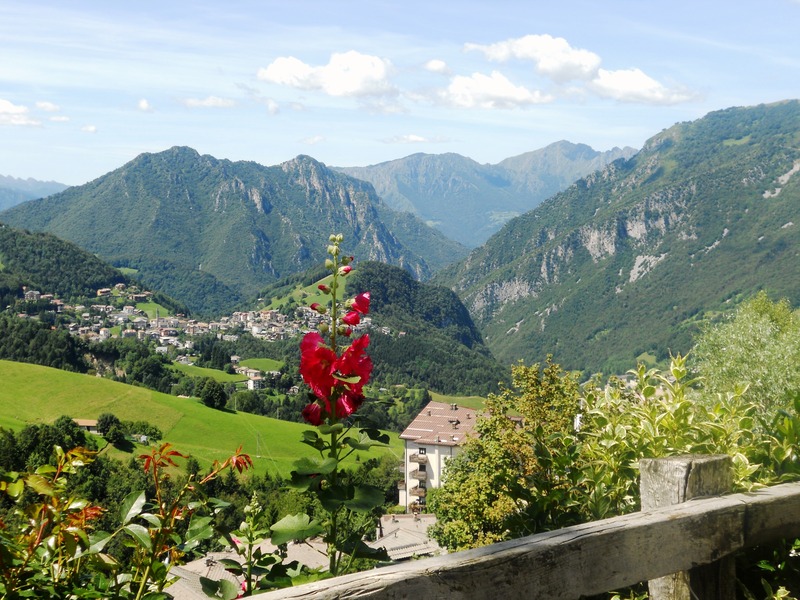 I imagine a little mood lifting was needed on long, dark winter evenings in the mountains…..and still is! 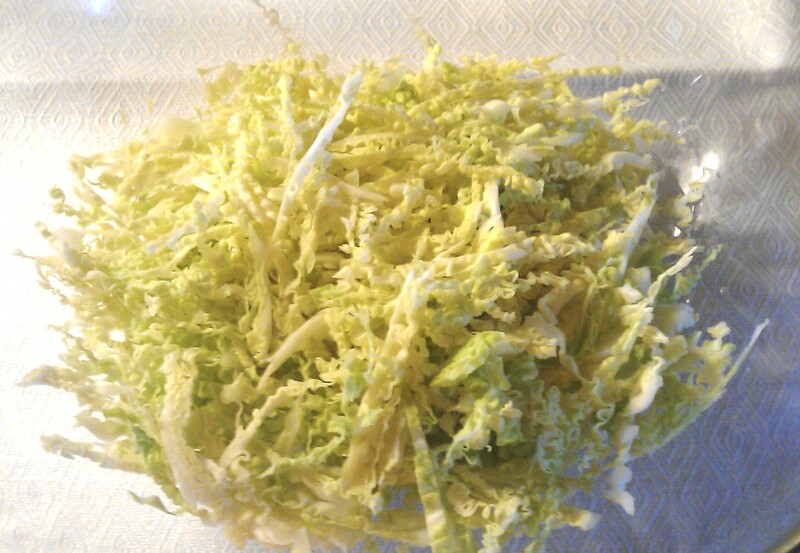 Of course if you go even further north from us into the Dolomites, the fermented cabbage dish “sauerkraut” or “crauti” comes with virtually everything…..similar to Korea’s cabbage pickle “kimchi” they are both lauded as a health-food. This is because raw cabbage and its juice really are great for helping detox the body, strengthen the immune system and overcome infection. It was this lovely 83 year old lady who introduced me to the delights of raw cabbage. Her name Gioconda means, appropriately enough, ‘happy’ or ‘jovial’ in Italian and she certainly is. 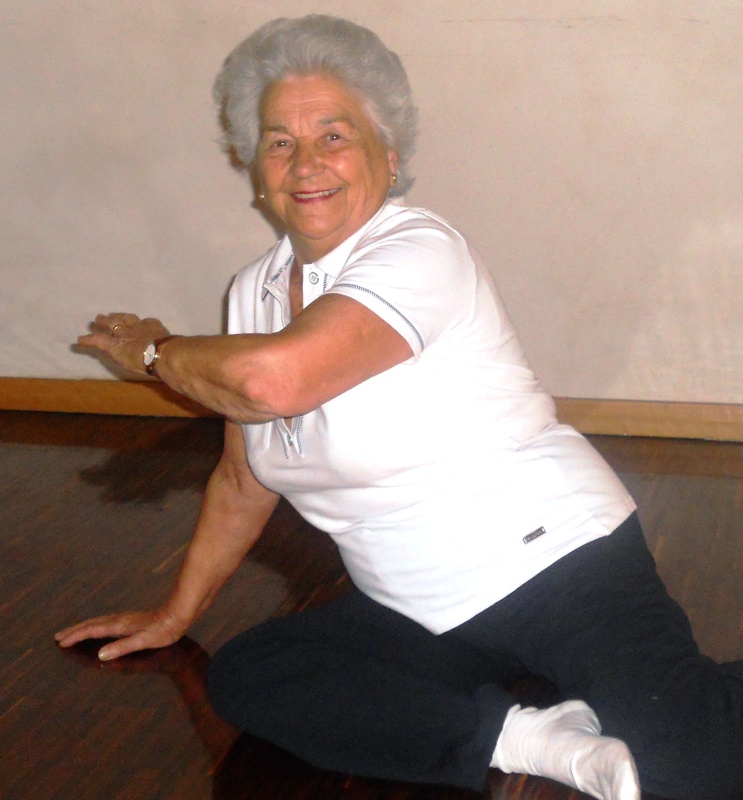 When she’s not slicing cabbages she comes every week to our Feldenkrais classes at the studio – and has been coming for 16 years! She and her family invited us to Sunday lunch one day up in the nearby mountains. 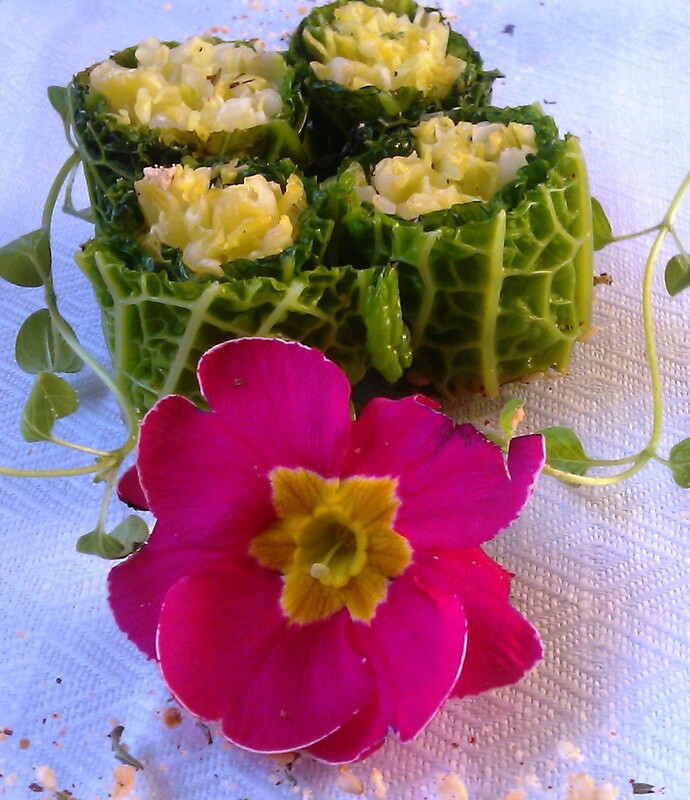 Lunch comprised of mountains of corn polenta, succulent barbecued meats, flagons of local ‘Valcalepio’ vino and……her incredibly simple but delicious cabbage salad which here I’ve rolled in cabbage leaves sushi-style. 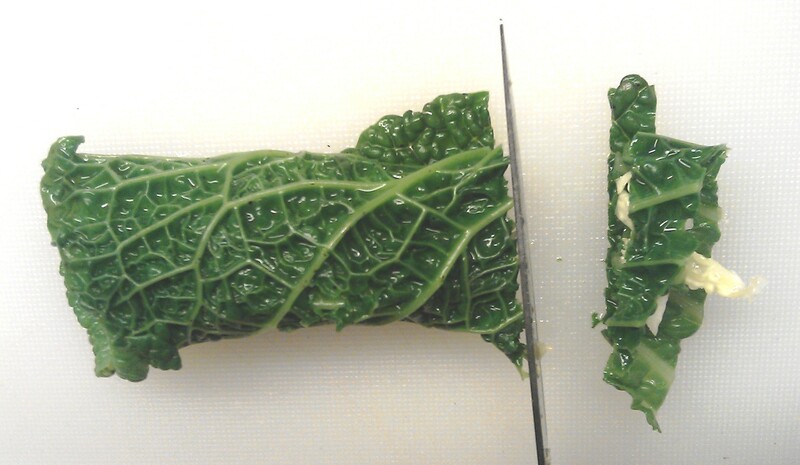 Halve each leaf, removing the thick white stalk. Place leaves into boiling water, sprinkle with sea salt and simmer for about 3-4 minutes until limp but still bright green. Drain and put immediately into the bowl of iced water. When chilled, pat dry and put aside on kitchen paper. Dry roast the hazlenuts and sesame seeds in a non-stick frypan until they are slightly coloured and giving off a warm nutty smell. Remove from the heat and cool. 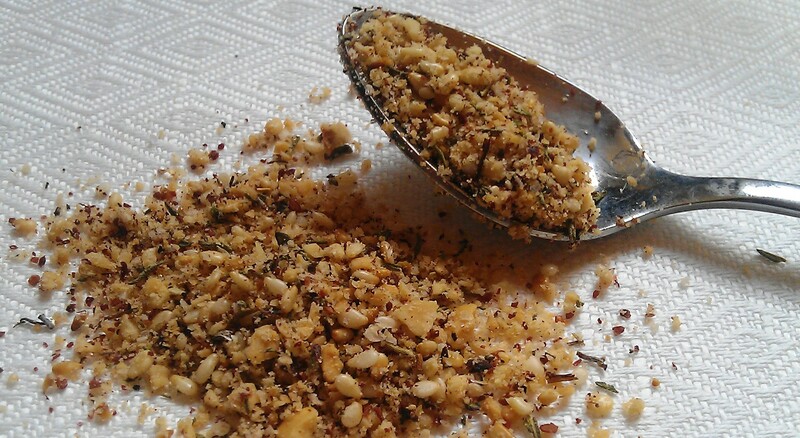 Once cooled, put the nuts, sesame seeds, thyme, sumac and salt into a food processor – I actually use a small Moulinex coffee grinder which I find easier for herbs, spices and nuts. I used the pulse option as I didn’t want a paste, I wanted a coarse gravelly mixture. You could also use a pestle and mortar. 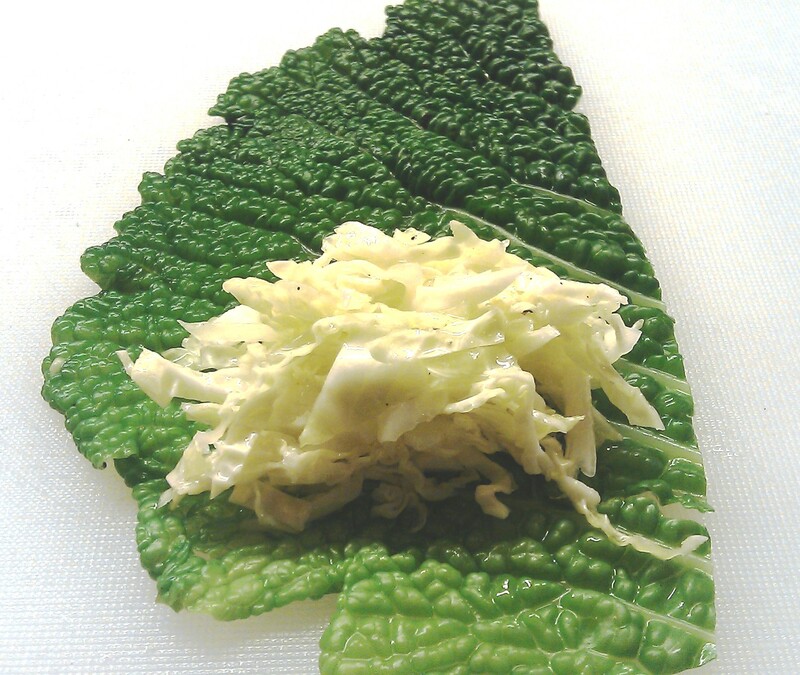 Take an outer cabbage leaf and spoon some of the cabbage salad along the edge nearest you. 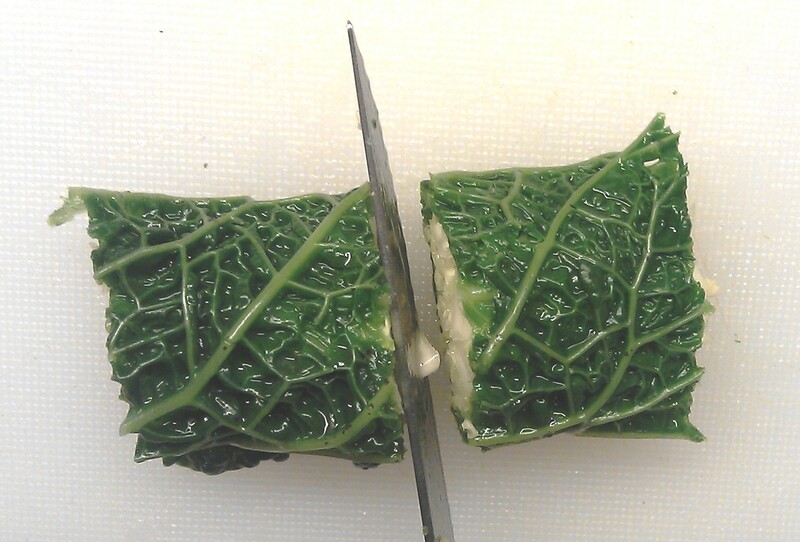 Then cut it in half horizontally. 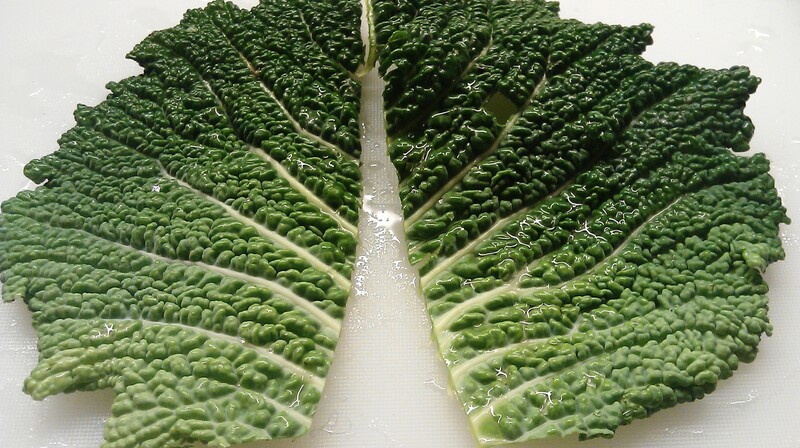 Repeat with each cabbage leaf. 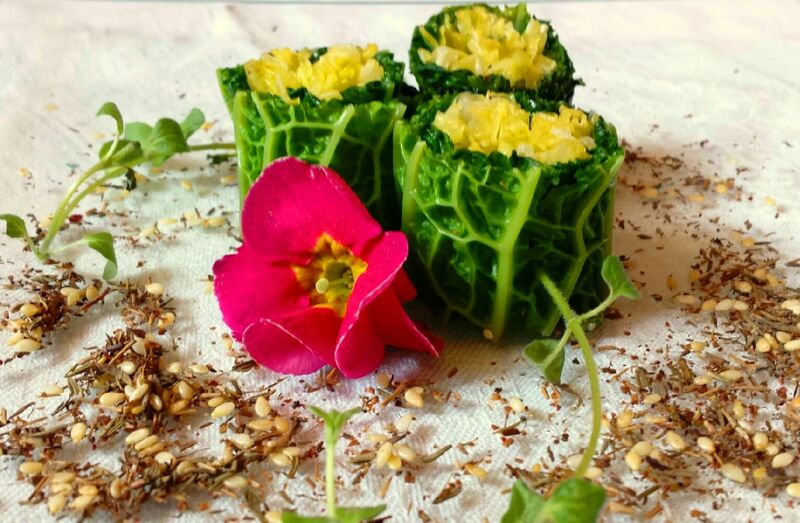 Arrange the sushi-style cabbage rolls on a plate, scatter with some hazlenut sprinkle – put the rest into a small bowl on the plate – dot with sprigs of fresh thyme and garnish with flowers. 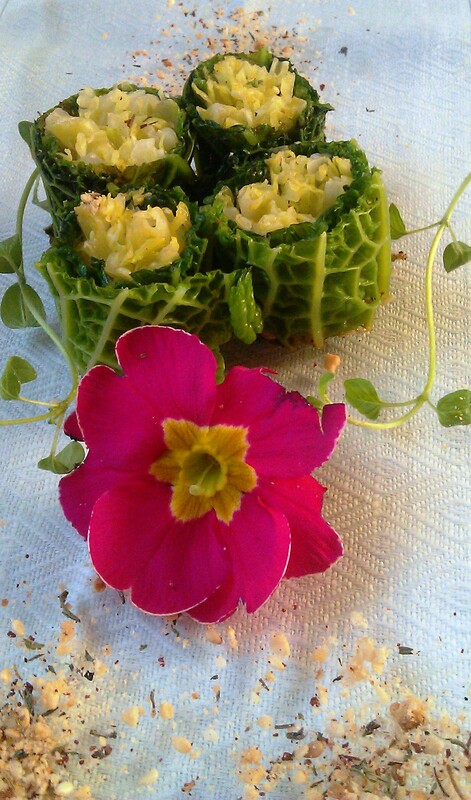 Take a cabbage roll and dip each end into the hazelnut mixture and eat. If you like you could put another small bowl on the plate with some extra olive oil for dipping.